Outgoing Ekiti State Governor Ayo Fayose threatens to quit PDP; the People’s Democratic Party (PDP) following the emergence of Alhaji Atiku Abubakar as the standard bearer of the party. But Jubrilla Bindow, governor of Atiku’s home state of Adamawa pledged his support for President Muhammadu Buhari’s presidential bid. Fayose, who is the Chairman of the PDP Governors’ Forum, alongside Rivers State Governor Nyesom Wike, supported Sokoto State Governor Aminu Tambuwal who came a distant second. Fayose in a statement said: “We have no regret aligning with Governor Wike to support Governor Tambuwal for the presidential ticket and no apologies either. “We kept the party alive and strong when most men became ladies. We never compromised. If any group feels it can do it alone, we will see how far they can go. “I may renounce my membership of the party if the need arises. “In the mean time, myself and others will continue with our consultations while watching the turn of events. Fayose earlier declared interest in contesting for President but withdrew . Fayose joined the PDP before the 2003 governorship poll which he won. He has been in and out of the party at various times. 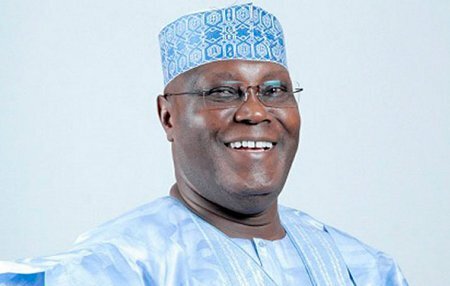 His supporters joined All Nigeria People’s Party (ANPP), ProgressivesPeople’s Alliance (PPA) after his impeachment from office while he had a working agreement with the Action Congress (AC) in the 2009 governorship rerun election. Fayose defected to the Labour Party (LP) in 2010 and ran as the Ekiti Central senatorial candidate in the 2011 general elections but lost to Senator Babafemi Ojudu. He returned to the PDP in 2012 and ran as its candidate in the 2014 governorship poll which he won. Governor Jibrilla, accoridng to a statement by Commissioner for Information Sajoh Ahmed, condemned what he described as a looming blackmail by elements who he said were planning to design a poster pairing Bindow with ‘the presidential candidate of another party’, a ploy which he said was wicked and baseless. “Bindow is an APC governor working for APC and has no intention to support or canvass support for any presidential candidate outside APC. He has no support for any candidate other than Buhari,” he asserted, adding that anybody who prints any document to portray anything to the contrary should be disregarded. The commissioner who refrained from specifically mentioning Atiku’s name in his initial address, submitted at the question and answer session of the press conference that Atiku as an Adamawa man winning the presidential ticket of a major opposition party was ‘a factor’ but that Bindow already had the candidate of his party and that Adamawa would always choose reality rather than promises. He said Buhari had done enough for Adamawa State since he became president to make the people prefer him to any other candidate.